Do You Want To Improve Your Gaming Experience? Download our FREE eBook guide and learn which type of gaming chair can benefit to your health and performance. There are many reasons for losing an online game: the power went out, a natural disaster rips through your home, your puppy chews through your connector cords. But one thing is for certain – you should never lose, quit, or disappear from a game because you’re uncomfortable! And with a budget gaming chair, you can invest more money in online game tokens and gear instead of what’s cradling your behind as you play. Whether you’re battling it out in Warcraft, building an empire of your own in a SIMS style game, killing it in electronic versions of chess or Scrabble, or going old-school with Qbert or Bubble Popper, we’re going to show you how sitting in the right chair is (winning) half the battle. Click “Play” and get ready to take your sitting game to the next level. Chances are, everyone from your employer to your gym trainers to the talking heads on the television (you know, what the screen is for in between games) have pounded into your head the negatives of sitting too long. We’re not here to scare you. We’re here to chair you! OK, but really, yes, we all know this. The thing is, your free time is your free time. And when you choose to game in that time, you want as comfortable an experience as you can get. A couple of years ago, ergonomics became THE thing. Suddenly, people cared how their desk chair was positioned in relation to how their arms rested on the desk and their feet touched the floor. Your chair should be placed so that your neck doesn’t twist when you play. OK, if you’ve scored one of those massive wall-sized screens, you may have to turn a bit to see everything, especially an invader coming in from the corner. But basically, you should be able to see everything from where you sit. Some chairs have a built-in swivel to help you see it all! When you sit, your face/nose/chin should not be pointing in any direction except forward. 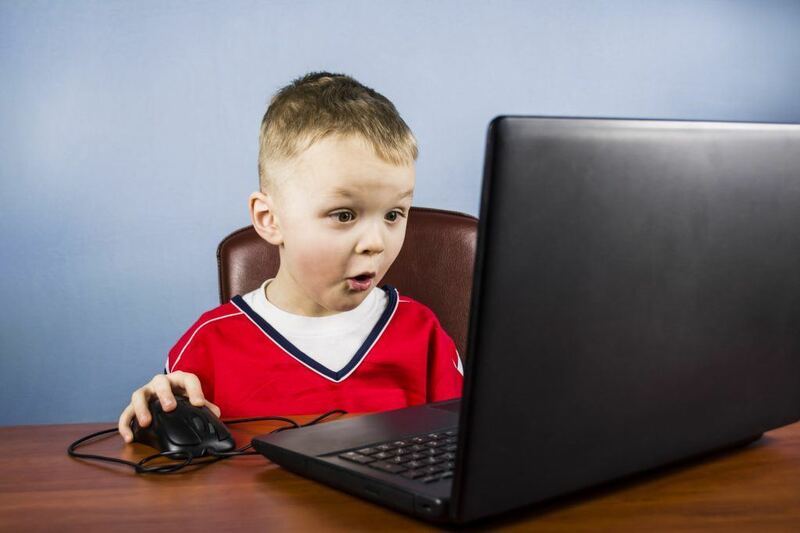 Looking up means your screen is too high OR your chair is too low. If you are craning your head down during the game, your screen is too low. As fun as it may be to be immersed in the experience of invading foreign lands or jumping around with glittering, sparkling fantasy creatures, your chair should be at least as far back as one arm’s length. Sit, point your finger, and if you touch your screen, move back. You wouldn’t go into an MMPG situation alone, but the good thing about your chair is, it’s all you and just you. After you’ve got the perfect budget gaming chair, set it to your specifications. Set the rise to the proper height, add support to your back’s needs, raise and adjust the arms as necessary. Recline, it’s fine! It’s news you’ve been waiting for – you CAN lay down on the job! Of course, your job is to game to the highest enjoyment, but ergonomics actually show that a slight recline to about 100 to 110 degrees (instead of sitting upright like the letter “L” at a 90-degree angle) works best. So you should choose a chair that allows for a slight recline. With the advent of mobile phones, a lot of us have gotten used to our necks getting stretched out and down (to see our phones in our hands, laps, legs). Your gaming chair should have great head and neck support, including detachable pillows, etc. It can’t promote you at your job, but this chair’s going to write checks for your game performance! It may look like a chair at your office, but this “best seat in the house” has 360-degree swivel and full-back lumbar support, plus a headrest and leather armrests. At work, this would be called a promotion. In gaming, you just leveled up! Chairs in this grouping may have leg rests, extended ability to lean (why get up when your game’s got you tired? Just lay down, get some shut eye, spring back up, and get back in the game! ), lumbar pillows, and an adjustable gas cylinder to make changing seat height a breeze. This is something you’d find in the corner office if you worked in a gaming company (we can dream, can’t we?!) In a game like PAC-MAN, your initials would be gracing the top of the High Scorers list. These chairs cost much more, but they give back for what you pay. In fact, some of them are custom made from your measurements (weight, height, etc). This would definitely not be a chair to share. You’ll want to keep it to yourself. These chairs are also heavier (so keep that in mind if you often move your chair from room to room). They’re well-crafted from steel, usually have lifetime warranties, have breathable material (not that we’re going to say anything about those 10-12 hour marathons – just remember to hydrate, ok? ), and have something called 4D armrests. This takes what you’re putting your game claws on to seriously untapped levels. For a budget gaming chair that both looks and feels cool, you can’t go wrong with a floor rocker. And the news is good: they come in two tiers of pricing. Depending on the price you pay, you can pick from options such as featherlight weight or hefty, strong materials. Benefits of the lighter, cheaper chair include the ability to move it from room to room. And you’ll really rock out with these rockers, as many come with speakers. No need to purchase extra equipment to really experience surround sound. Budget gaming chairs can put you as close to the game as your ears can handle. Cheaper chairs may also be better for children or lighter adults. If you’re more than just “fun sized,” you should definitely check out a fully-loaded rocker. Something that will never go away from the 70s? It’s the bean bag chair, and it’s definitely one of your cheapest chair options for gaming. But really, cheapness is going to be its biggest benefit. Sure, they’re comfy and even smooshy. But that’s not really on the top of your mind for gaming, especially when you’re devoting long chunks of time. Bean bags have come a long way from their hippy days, with some even including adjustable temperature. But you may want to leave the beans for what you cook up in between rounds. You wouldn’t just blindly buy a video game because it came in a rectangular shaped box. So don’t buy a budget gaming chair without doing some research. Chair guides are a great place to start. You can read up on them on vendor websites, but remember that the sites of the companies that make the chairs are going to be a little skewed in their favor, of course. Video game websites, eSports leagues, and online aggregators such as Amazon and Google are all good options (though watch out for “paid reviews” and “sponsored ads” on search engines. These ads are supposed to be flagged as sponsored content, but some misuse filters through). Another option is to actually see it before you purchase. Of course, try before you buy is the best, but getting yourself to your prospective perfect seat is not always an option. Play around with the search terms. The more specific you are the fewer videos you receive. But the broader you search, the more likely you are to be overwhelmed with videos that just distract you from the purpose of the task. Ready to purchase a seat that just can’t be beaten? Drop us a line here and we’ll contact you faster than a warlock can disintegrate to break out of prison. We’d also love to send you our free eBook on how the gaming chair you select can actually benefit your health and in-game performance. And before you head back into the game, leave us a comment below. Share about your chair, how you broke through the level that was trapping you for the past few weeks, cool Easter eggs you just found, and anything else to keep the gamer universe going! 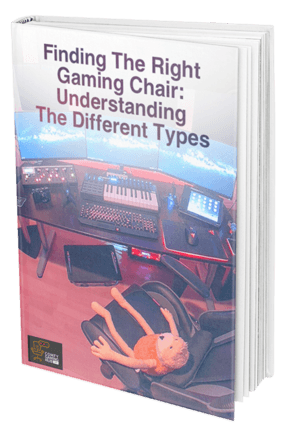 Download our FREE eBook guide and learn which type of game chair can benefit to your health and performance.